Lambeth Cemetery is in Blackshaw Road, Tooting. There is a War Plot in the south-west corner and here will be found the Screen Wall Memorial naming those whose graves are not marked by headstones. 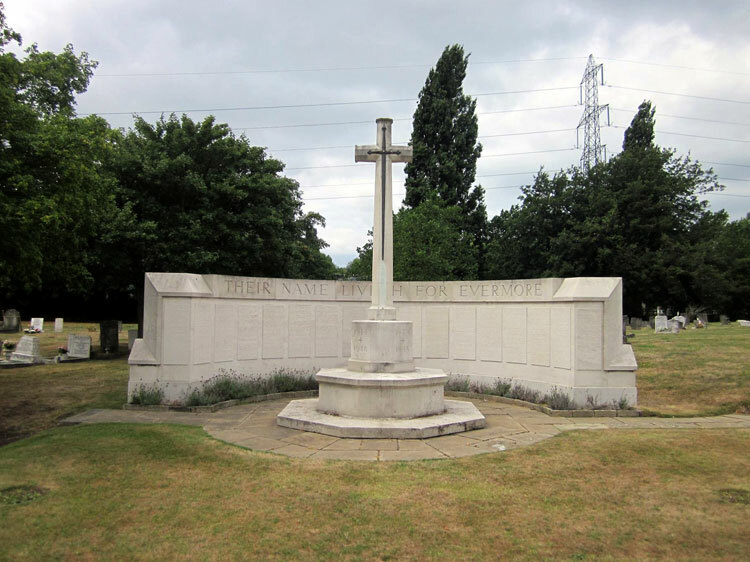 There are 217 Commonwealth burials of the 1914-1918 war and 145 of the 1939-1945 war here. There are 29 non world war burials and 1 Belgian grave. We are very grateful to julia&keld of the Find a Grave website for the phots of the Screen Wall Memorial and the detail showing the name of the Yorkshire Regiment soldier commemorated on the Screen Wall. Private Thomas David Stoneman. 34371. 3rd Battalion the Yorkshire Regiment, formerly 4539 R A S C. Son of Mr. and Mrs. W. Stoneman, of 25, Lambeth Rd., Lambeth, London; husband of J. E. Stoneman, of 8, Main St., Great Bowden, Leicestershire. Died at home 3 July 1918. Aged 21. Born Lambeth (Surrey), Enlisted London, Resided Kennington (S E). 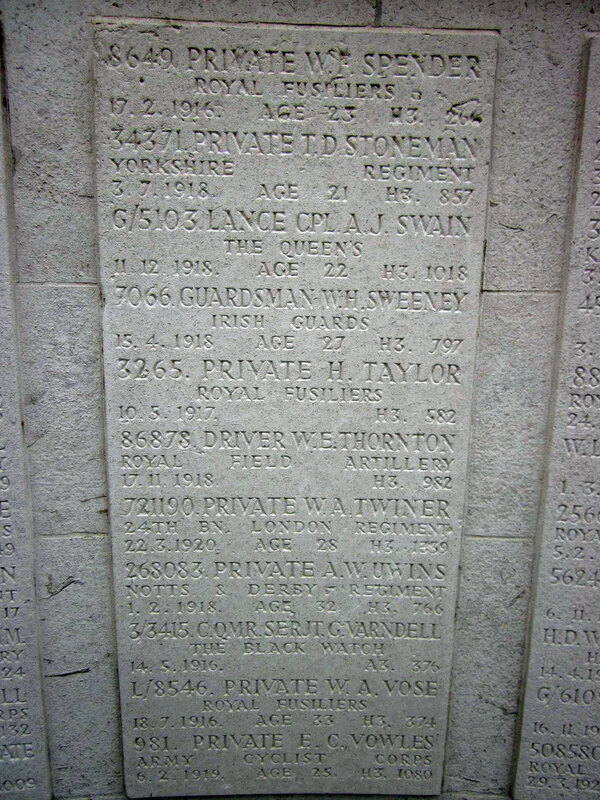 Private Stoneman's Name on the Screen Wall in Lambeth Cemetery.